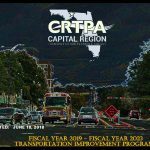 The Capital Region Transportation Planning Agency (CRTPA) is the region’s metropolitan planning organization (MPO). As such, the CRTPA is responsible for coordinating transportation planning within Florida’s Capital Region. 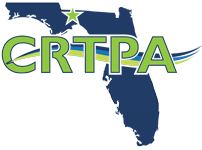 The CRTPA requests your participation in the transportation planning process of Florida’s capital region. Through such involvement, your ideas and vision for the region’s transportation will help shape your community. We’re happy to announce that the first segment of the Coastal Trail is open for use! Developing long range transportation plans. The CRTPA has modified the FY 2018/19 – 2019/2020 Unified Planning Work Program to increase funding in Task 1 associated with audit expenses. The CRTPA adopted the agency’s UPWP at its May 15 meeting. The Interactive Transportation Improvement Program (TIP) provides a five-year listing of state and federally funded transportation projects within the capital region (Gadsden, Jefferson, Leon and Wakulla counties). The CRTPA is in the process of developing the Tallahassee-Leon County Bicycle and Pedestrian Master Plan. The CRTPA initiated this project to address transportation issues in the Southwest area of Tallahassee and Leon County. The Connections 2040 Regional Mobility Plan (RMP) was adopted at the November 16, 2015 CRTPA meeting. The RMP is the agency’s Long Range Transportation Plan that is updated every 5 years and identifies projects to address the CRTPA region’s future transportation needs.